Many people considering a career as a commercial driver find out the hard way when they apply for a job that they've had too many tickets or accidents in the past five years - "Sorry. Can't hire you." It's frustrating when you're faced with this scenario, but you simply have to live with the consequences of your actions. You can't even get a job delivering pizza in your personal vehicle if your driving record isn't solid. This is how it's been for many years. Even my union representative in the 80's told of someone who couldn't even find a job delivering pizza. Those who face this challenge often times wonder why, thinking "it's just delivering pizza" or "my speeding tickets were for 10 over and I only had 5 in the last 5 years." While you rant and rave about how unfair life is because you can't get hired, think about the other side for a moment. Would you hire someone to drive a big rig, a school bus, or tour bus with a poor driving record? Employers and their insurance companies look for patterns of irresponsible behavior. A pattern of irresponsible behavior or a severe incident like a DUI or a felony can keep you from being hired because it could mean higher rates for the employer if you get more tickets, or a lawsuit that's going to be hard to defend against if you get into an accident. If you have a CDL or are thinking about getting one, keep in mind that 15 mph above the speed limit is considered reckless driving. Not only can this mean a big fine and possible suspension, but it's going to be extremely difficult to find work with that on your record. The mentality of the drivers over the past 15 years or so just amazes me. Whatever the posted limit is, it apparently means go at least 10 mph over that, even in a school zone. Even the two lane road I travel daily is posted as 30 mph, and yet many people do 50! I just don't get it. What is the hurry? You have to ask yourself, "Is getting a ticket or getting into accident and possibly injuring or killing someone really worth it? Having your license is a privilege, not a right, and it can be taken away from you just as quickly as it was given. 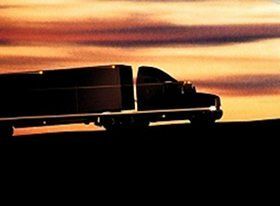 A Commercial Driver's License (CDL) is regulated by the Federal Government and you are held to a higher standard than other drivers on the road. The penalties and consequences are even more severe. Now you may be thinking that they can't take away your ability to do your job. Oh yes they can! This is the same as doctors, attorneys, plumbers, nurses and others who need a license to work. You screw up, you face the consequences, which could mean the end of your career. I started out with a chauffeur's license in 1976 and got it converted to the new CDL in October of 1991. It cost me $56 because this also covered the cost of testing and of implementing the program for future drivers. When I renewed 5 years later, I paid less than $56. Almost 36 years later, my driving record is clean. I accepted the responsibility of being a safe driver, to be held accountable for my record, and to face the consequences of my actions behind the wheel of any vehicle I happen to be driving, not just commercial vehicles. Whether you're on duty or off, your actions do matter to your employer, and you will be held responsible. And to everything else, you can now add the CSA 2010 regulations that are meant to insure that only the most responsible drivers are allowed behind the wheel of a commercial vehicle. Even if you're not using your CDL to make a living, you're still held to higher standards. Maybe you only drive a church bus once in a while. It doesn't matter. If you have a CDL, law enforcement doesn't care who you drive for or what you're using it for. You're still held to a higher standard. I'm not driving for anyone at this time, and yet the responsibility has not changed. Your employer's insurance will also do checks on you throughout the year. There seems to be some drivers that "forget" to notify their employer of tickets or accidents, which is required by law, whether you are on duty or off duty, in a commercial vehicle or personal vehicle. When I was Safety Director, I had a driver "forget" to tell me about an issue. I found out about it because the out of state DOT officials called me wanting to know where their paperwork was for this specific issue. Let's just say that was not a fun phone call. At driving jobs I've held, I also had to fill out paperwork once a year for my file listing any tickets or accidents I had. I also have many of the license checks my employers had done on me throughout the years. Some weren't even driving jobs, but the check was still done. I just can't stress this enough - keep your license clean and make smart decisions. It can mean the difference between finding work and keeping your career, or watching your life come to a screeching halt.